Please note: THIS is what journalism looks like. 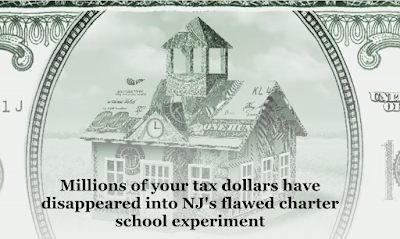 For the better part of a DECADE I have watched as reporters copy and pasted New Jersey Charter Schools Association press releases about the need for more charters in our state, without EVER digging beneath the surface of claims. At the same time legislators on BOTH sides of the aisle turned a blind eye as charter schools proliferated, forcing districts to transfer scarce taxpayer dollars and resources to unaccountable charter operators. EACH AND EVERY CHARTER SCHOOL IN THE STATE IS ITS OWN DISTRICT! Each charter has its own administration - even charters that only serve a few hundred children. Every charter also has its own privately appointed board. Members of the public can not "vote out" bad boards. Members of the public have ZERO recourse if a charter school board goes rogue or doesn't function as faithful stewards of taxpayer dollars, or, worse yet, doesn't act in the best interest of CHILDREN - there is simply no accountability mechanism. This lack of accountability to the public and lack of transparency INVITES the shenanigans highlighted in the Northjersey.com series. Allow me to digress for a moment, and let's take a quick look at Hatikvah International Academy Charter School. Their website lists the names of board members and meeting dates, and posts a handful of meeting agendas and minutes (although ZERO meeting minutes for 2019, as of this writing). Let's look at the minutes from their December 18, 2018 meeting. There were ZERO members of the public present at this meeting, only TWO of FIVE board members were physically present, and ONE board member participated "by phone." 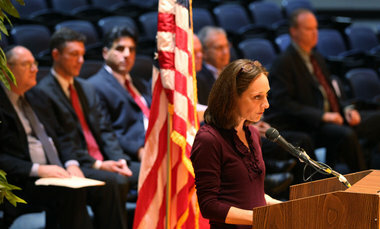 The telecommuting board member was Eli Schaap, the Senior Vice President of the Steinhardt Foundation for Jewish Life. Billionaire Michael Steinhardt is the driving force behind the Hebrew Charter School movement, and one of his employees is a voting member of the board of one of the charter schools his organization funds. There were ZERO reports from the board's THREE committees, which implies that these board members are failing to do their due diligence overseeing district operations and expenditures. Only SIX votes were taken, with just TWO votes held to authorize $245,369.25 in spending. ZERO details are offered in the minutes as to what the money was spent on, and no supporting documents are posted. Eli Schaap abstained from one of the votes for an expenditure of $50,833.33, (perhaps because of a possible conflict of interest?) so only TWO board members approved that expense. The meeting was called to order at 7:27 PM and was adjourned at 7:31 PM. It took FOUR minutes for THREE board members to spend $245,369.25, with no indication that the board members reviewed the expenditures before hand (no committee meetings) and no notice to the public as to what those taxpayer dollars were spent on. It's not hard to see how HUGE problems arise with such limited oversight, now is it? At the November New Jersey School Boards Association Delegate Assembly meeting where Mark Magyar, associate executive director for policy development in the Senate Democratic Majority Office, stood in for Senator Sweeney to answer questions about the "Path to Progress," I got to the mic first. I asked how charter schools were going to figure into the Senator's consolidation proposal since each charter school is its own district. With around 100 charter schools statewide (no one seems to know exactly how many there actually are....) this duplication of services is preposterous - especially as Senator Sweeney is calling for traditional district to consolidate and for the formation of two COUNTYWIDE districts. There was none. They still needed to think about it. Why? Because there is ONE set of rules for charter schools and another set of rules for traditional public schools, for everything from facilities to board oversight to school management. 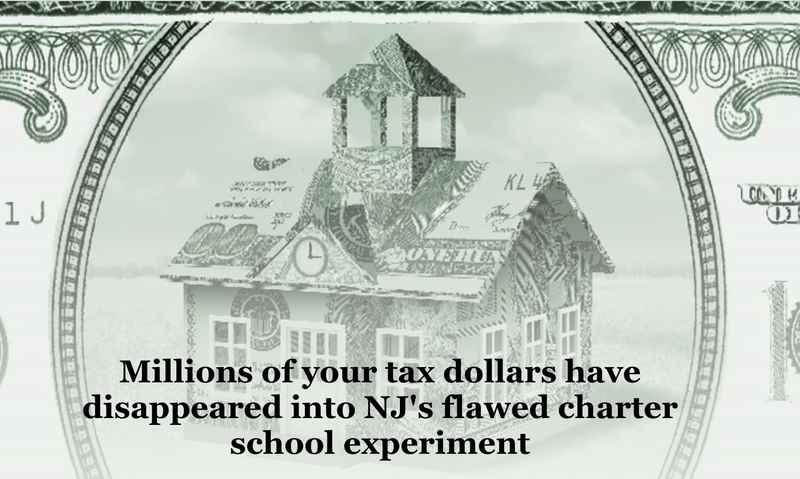 The time has come for the Murphy Administration to not kowtow to pressure applied by high-paid lobbyists funded by out-of-state corporate reform groups, and instead listen to the voices of those of us working to ensure that true New Jersey public schools thrive and serve children well. The next phase of the NJDOE's charter school outreach has to confront some of the very real, very destructive problems in the state's charter school sector.